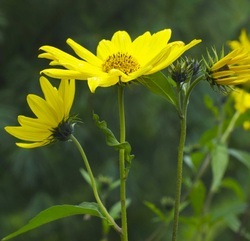 RUDBEKIA A perennial variety that would love to take over the entire garden and leaves masses of rooting little runners everywhere. Still beautiful and an insect magnet, so we tolerate. ANENOME X HYBRIDA This one's also a bit of a jerk in the mixed bed, crowding out lilies and generally going batshit. Rip our handfuls to control it at the end of every season. Unsurpassed white, though and so elegant. CARNATION Pinks are so unfashionable at the moment but I cannot think why. 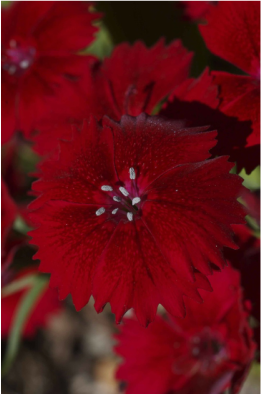 They're hardy, intensely beautiful, modestly sized and utterly uncomplaining, flowering virtually all season. We recommend their rediscovery. Somewhere dryish is best. Another superstar but she has a strict rider and will literally die if the brown M&Ms remain in the figurative bowl. Must have full sun and perfect drainage, at least here. Smells like kafir limes and mentol and eucalyptus. 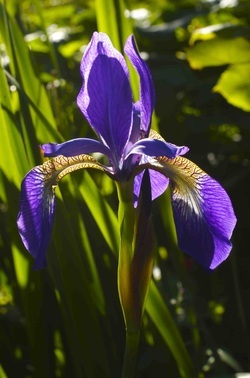 IRIS SPECIES. We grow a few, with modest success; its either not wet enough or too sunny, too shady, you name it. Lovely, of course, in a good year, we find they take up too much space at the expense of more reliable performers. Nice to have, but not a necessity. Two 2 m and more here, a nice tall intensely blue element in late summer at the back of the bed. Can lean so give it support. No known pest issues, very shade tolerant. DAHLIA BLUE BALL (I think). Another large, reliable variety provided it gets half a day of decent sunlight. Bushier than most, deadhead mercilessly to get the best performance. 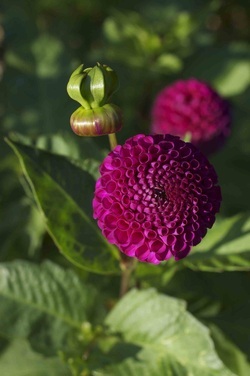 Really tight, intriguing balled blooms in purply-mauve. LAVENDER We just can't stay mad at you, lavender, though you're a bit of a drama queen if not sited to a tee in our high humidity. Give it rubbishy soil and baking sun with virtually no water and you'll have something worth rubbing your face into. Cut back hard to keep your plants. A really stately salvia, getting to small shrub proportions, flowering late in the season with these enormous green and cobalt bracts. Dry, crap soil and full sun for best results. GEUM 'Mrs Bradshaw' Why geums are so de mode, I will never know. Like pinks, they're immortal, happy anywhere and require no attention beyond a deadhead twice a year. Their long, elegant stems punt their lovely flowers over the heads of the surrounding scrum and the saw leaved foliage isn't too shabby either. Totally underrated. Under construction- thanks for your patience.